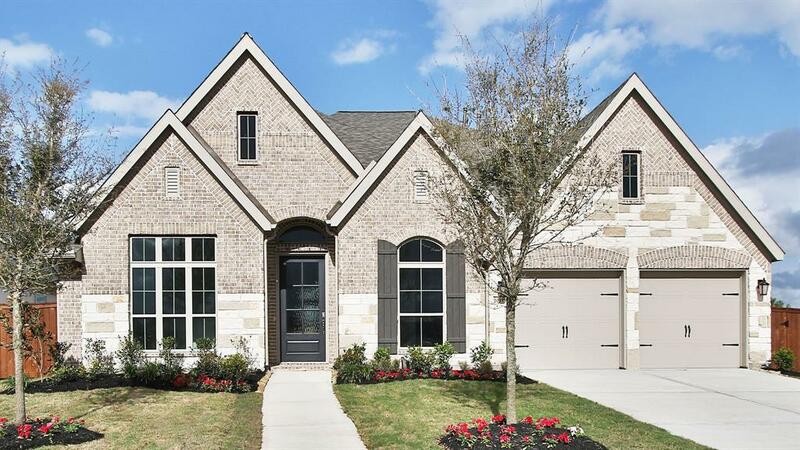 PERRY HOMES NEW CONSTRUCTION! Mahogany front door. 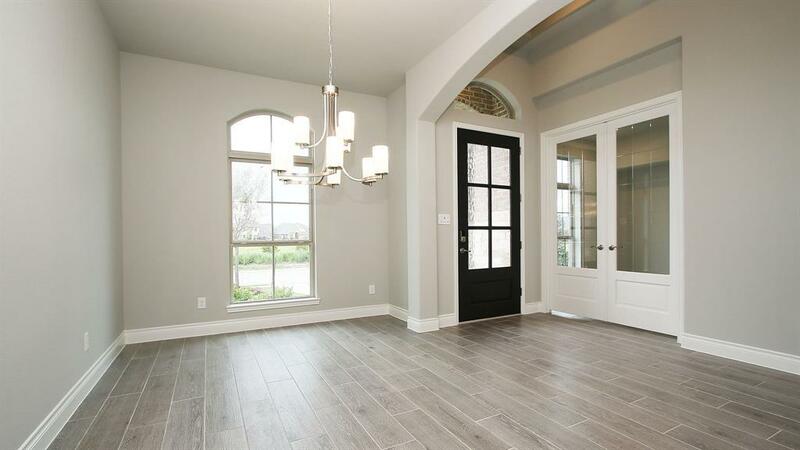 Library with French doors and formal dining room frame entry with 13-foot coffered ceiling. Open family room with a wall of windows. 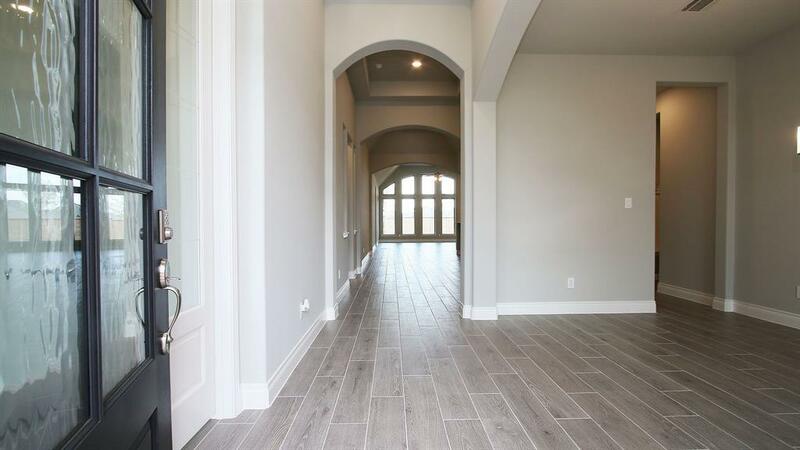 Ceramic tile floors flow throughout. Game room with French doors just off the morning area. Island kitchen with walk-in pantry and Butler's pantry. 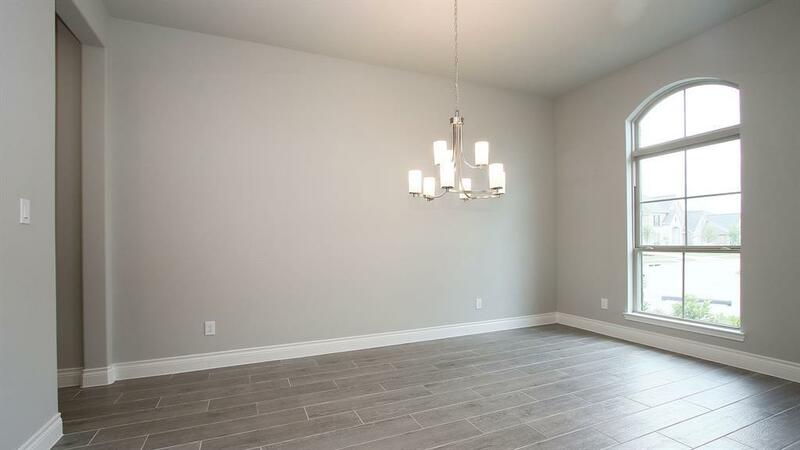 Spacious master bedroom with 12-foot ceiling. Corner garden tub, separate glass-enclosed shower, dual vanities and two large walk-in closets in the master bath. Guest bedroom with full bath and walk-in closet. Extended covered backyard patio. Mud room just off three-car garage. Stage of construction is Sheetrock on the day of entry.